Deadwood meets Cthulhu in this wild and profane Western romp featuring zombies, werewolves, evil spirits, and one pissed-off gunslinging preacher. The Wild West has never seen the likes of the Reverend Jebediah Mercer, a hard man wielding a burning Bible in the battle between God and the devil, in an endless struggle he's not sure he cares who wins. 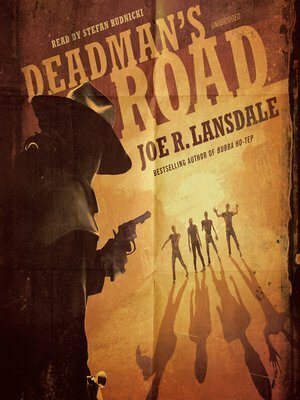 With its five stories laced with fast-paced action, nonstop humor, and spine-tingling horror, Deadman's Road is your ride to hell, in which a vengeful shaman curses a town by conjuring a seemingly unstoppable army of the undead; an ill-advised shortcut leads to a bees' nest of terror; a man stands condemned, not for murdering his wife but for raising the Lovecraftian horror that killed her; a woman is attacked by werewolves and left for dead in a ghost town; and a mining camp faces off with a horde of cannibalistic fiends.